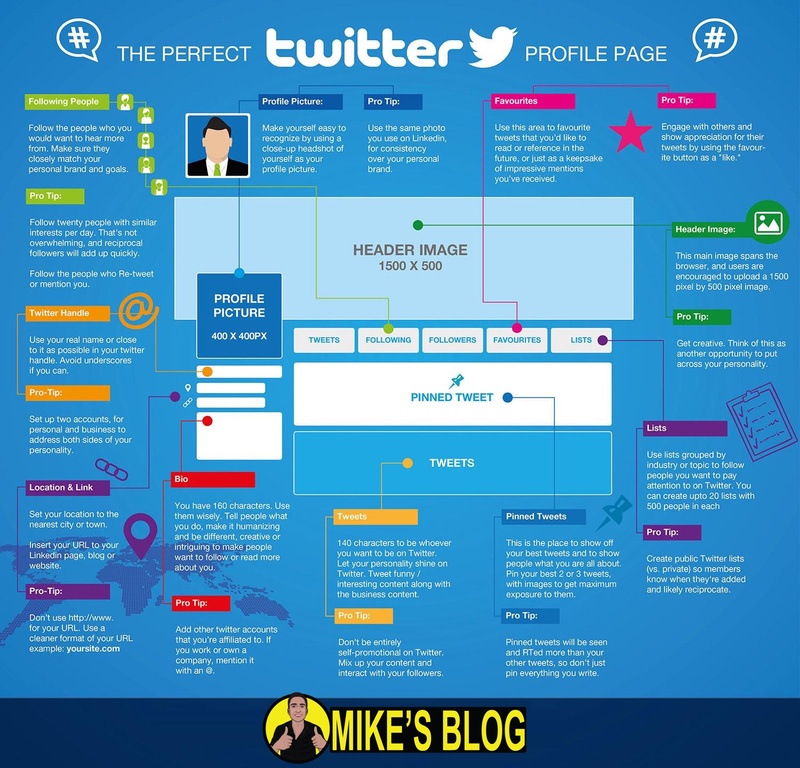 Twitter background size dimensions are essential to developing an effective visual presence on the social media service for a long time, however twitter recently revamped their designs radically. 1500 pixels wide x 500 pixels high, 5MB maximum. This is the most important image appearing on top of the screen. Officially twitter recommends 1500×500 pixels but the header image will always blow-up to be screen-wide, which means a 1500×500 image can not look good on a 27-inch monitor. However there is a workaround either upload a 3000×1000 photo or save your 1500×500 image at the highest possible dots per inch (DPI) you can you manage to squeeze it under the 5 megapixel limit. And incase you are looking for some ideas, Twitter has a nice gallery of header background images. Officially twitter recommends a 400×400 profile image size with maximum limit is of 2MB, and the image should be a square (although you can use your own imagination to make it look good). Again, here we recommend saving image to as high a DPI as you can – Please do note the maximum file size for the image is 2MB although this is no longer specified by Twitter. The profile photo drops down to 200×200 on your profile page, gets even smaller in timelines, and blows up to full size when somebody clicks on it, so make sure your image looks clear at all scales. This is no longer needed as twitter has phased out background image from its latest design. However it still shows up in certain places as you’re navigating Twitter (at least for now) this is something only you will see, and they’re not visible on your actual profile page by other users. Our suggestion is don’t waste your valuable time in creating a stunning background image that nobody is going to see. Simply just move to twitter profile design settings and set a solid background colour instead.